Get Help – United Way of Central Alabama, Inc.
How Can 2-1-1 Help You? It’s Easy, Call 2-1-1 or 1-888-421-1266. United Way’s 2-1-1 Information and Referral Line is an easy-to-remember telephone number that connects people with community services to meet a wide variety of needs. By dialing 2-1-1 you are connected to a specialist who can link you to the right service using a comprehensive database of services. It is a free and confidential information and referral service. Basic Human Needs: call 2-1-1 to find resources for food, clothing, shelter, rent, and utility assistance. We have access to translators in multiple languages. Physical & Mental Health: get help with Medicaid & Medicare, health intervention services, support groups, counseling, drug and alcohol intervention, victims services, and substance abuse rehabilitation. Employment Support: get information on the Earned Income Tax Credit (EITC), job training, transportation assistance, and education programs for job skills. Support for Children, Youth, and Families: get information on advocacy, child care, after-school programs, family resource centers, mentoring tutoring, and protective services. 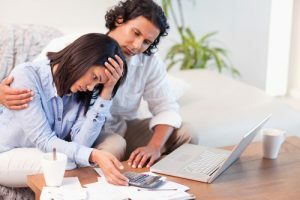 Financial Stability: find help for immediate financial issues such as home foreclosure prevention, income tax preparation, debt management and financial coaching. Download the free 2-1-1 App on your smart phone or tablet device and have more than 800 community resources at your finger tips. You can search by topic, geographic area or agency. Download the App by searching Alabama 211. 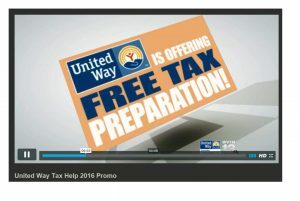 2-1-1 is your source for free tax preparation year round provided through United Way of Central Alabama’s Free Tax Program. Call 2-1-1 for information or to make an appointment. By dialing 2-1-1 families that are behind on their mortgage can be linked to a Foreclosure Prevention Partner through a collaboration that provides free help to help avoid foreclosure. Are you looking for a meaningful volunteer experience? 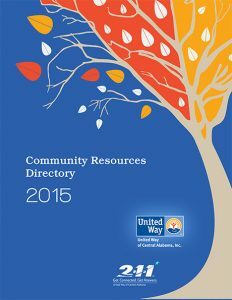 United Way’s 2-1-1 Community Resource Directory, with 300+ pages and 800 resources, is a valuable tool for individuals that work in the social service field. Cost: $30 per book includes shipping. We’re sorry, this item is back ordered. If you are a service provider interested in being included in the 2-1-1 Alabama Community Resource Directory, click here to send us your information.